It should come as no surprise that Kim Kardashian’s baby is probably better dressed than you. But North West, who turns 2 in June and has probably had most of her clothing decisions made by her uber-fashionable parents so far, seems to be developing her own taste, Kim told Vogue. Considering her parents — Kim and Kanye West — it’s no wonder North has a well-developed, albeit tiny, sense of high fashion. And she’ll have no shortage of toddler-sized couture pieces to choose from — her mom runs the Kardashian Kids brand, set to launch a new collection next week on Nordstrom.com, and E! News reports that the tot’s shoes alone come from designers like Charlotte Olympia and Giuseppe Zanotti. On top of that, Kim says in her Vogue interview that the tiny fashionista loves a Chanel purse, too. The same, however, doesn’t go for hats. “She hasn’t been the biggest fan of keeping something on her head,” Kim laughed, according to Vogue. 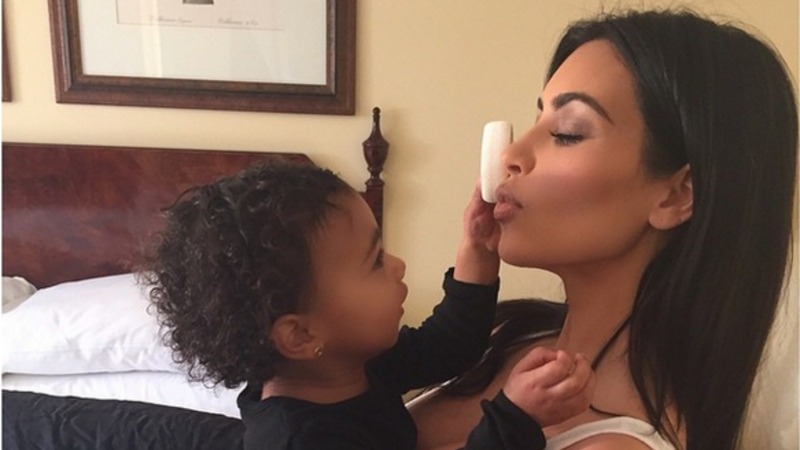 Even with North to groom and dress, Kim hasn’t been shy about longing for another baby. And with a dad like Kanye, one of the best-dressed guys around, a male addition to the family would probably be no slob, himself. More: Paris Hilton vs. Kim Kardashian: Who did it first? What do you think about North West’s demands for designer shoes? Is the tot painfully cute? Or annoyingly spoiled? Head down to the comments and share your thoughts.